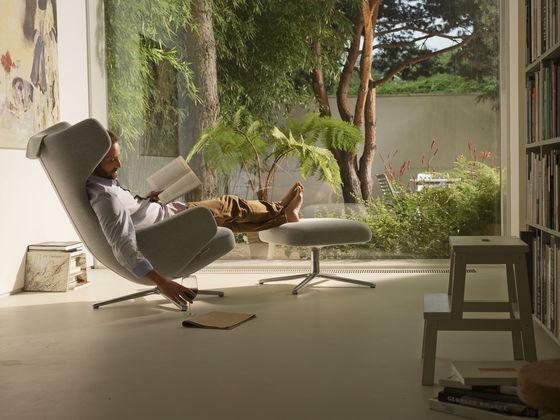 The Vitra Grand Repos lounge chair by Antonio Citterio was launched in 2011 as a modern lounge chair which unifies technology with cosy comfort. 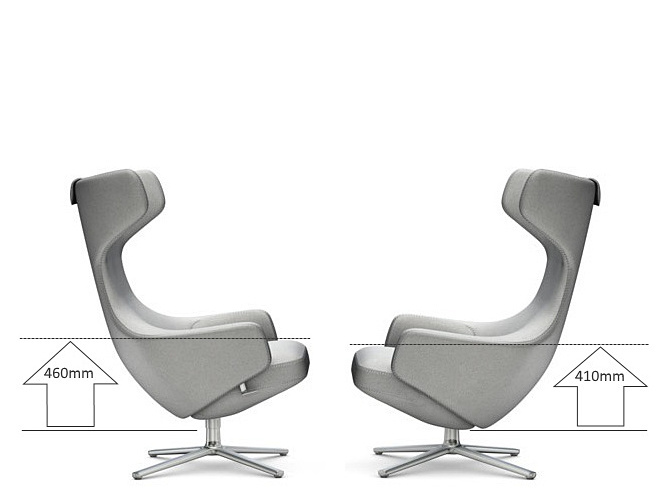 Offering infinitely adjustable sitting positions, the angle of the seat and backrest move in sync with each other and can be locked once the perfect position has been reached. 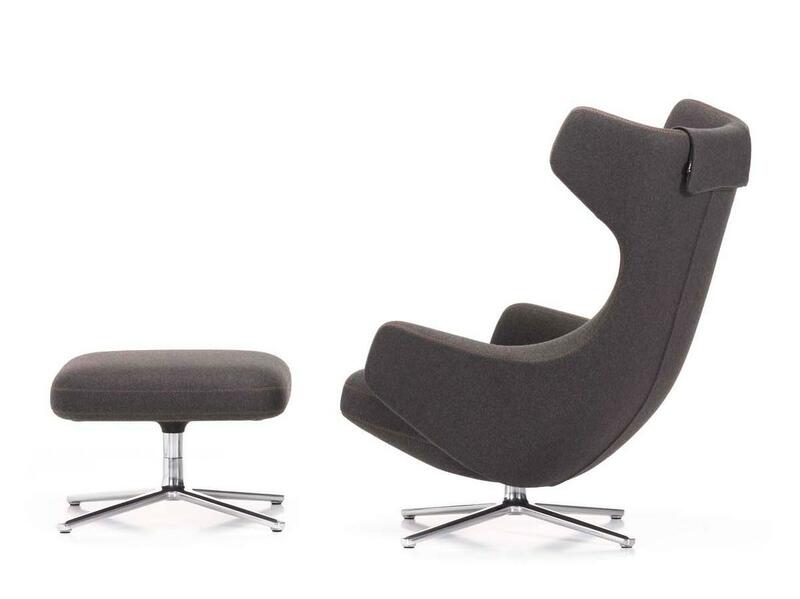 The Grand Repos is available with a matching Panchina or Ottoman, while in addition Citterio also designed it as a duo for Vitra - without wings the chair Repos is the leaner version of this modern lounge chair. 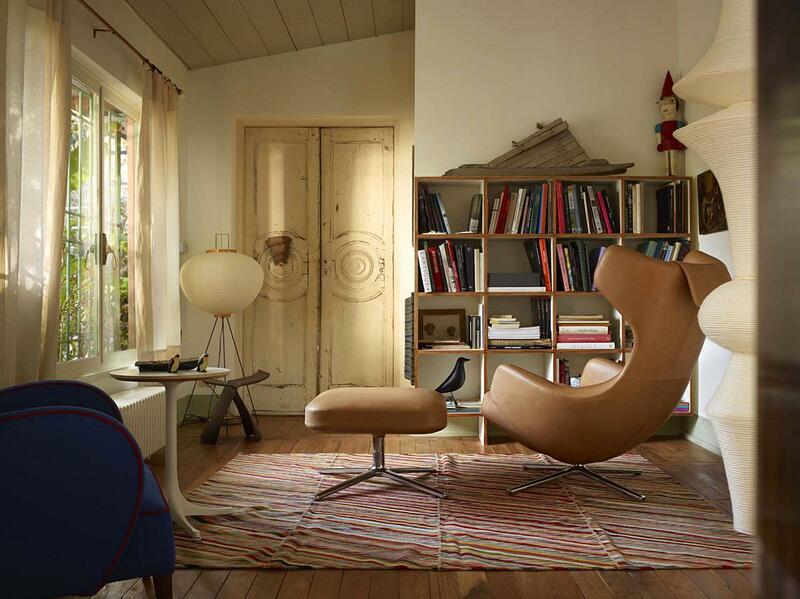 Vitra supply the Grand Repos is a range of other versions. 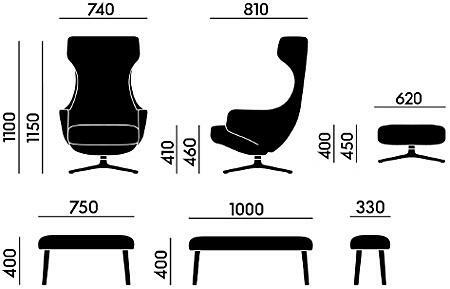 Please contact smow customer service for more information and to request material samples. Ottoman: Plastic plate, polyurethane foam and polyester wadding. The narrower Repos (without wings) is sold separately. 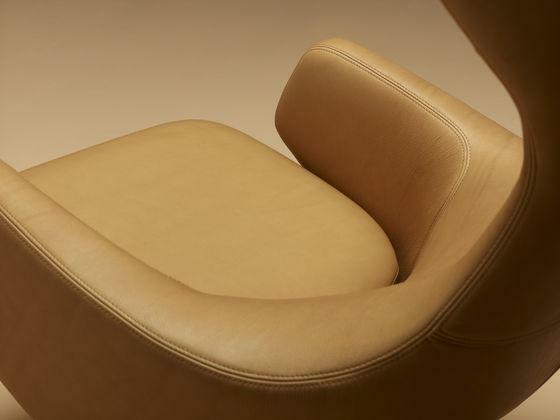 Care Leather: Superficial dirt can be removed with a damp cloth, - avoid vigorous rubbing. 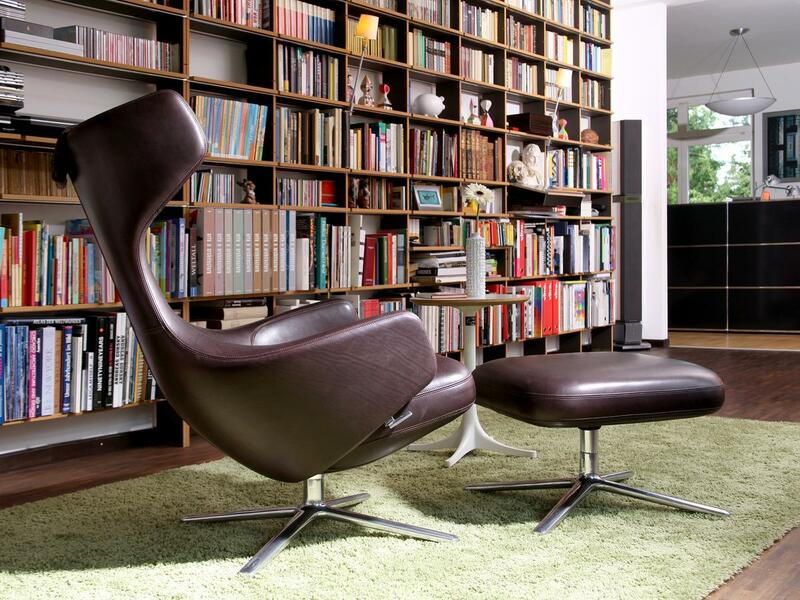 For cleaning we recommend special leather cleaner in foam or liquid form. Small stains are best removed with a colourless eraser. To protect the leather from drying out a leather conditioner should be used. Liquids should be immediately dab with a cloth and, if necessary, wiped it with a little fresh water. 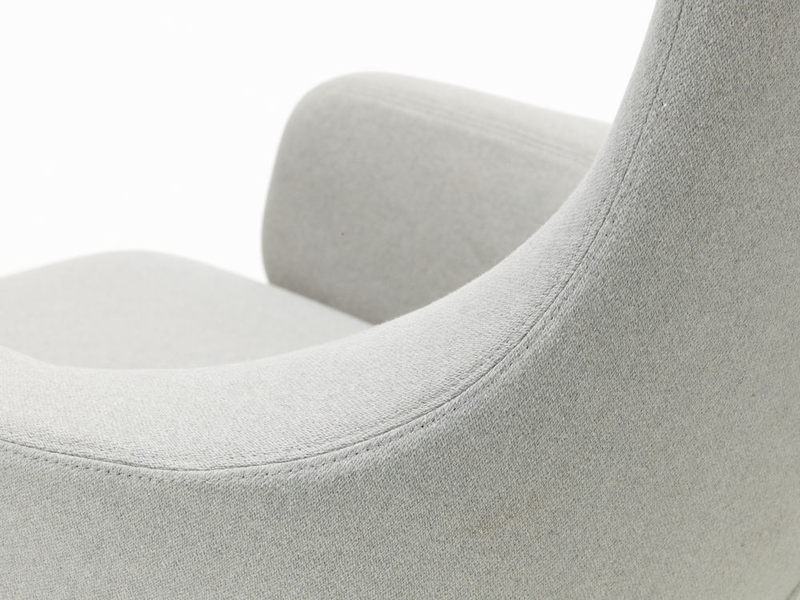 Fabric: For the care of upholstery fabrics it is sufficient to vacuum any dust or lint with a upholstery nozzle. Fresh stains are best removed by immediately treating with an absorbent, lint-free cloth, dry dirt gently brushed with a soft brush. Depending on the type of stain substance solvents may be necessary, in such cases please consult a specialist before beginning. Product datasheet Please click on picture for detailed information (ca. 0,7 MB). 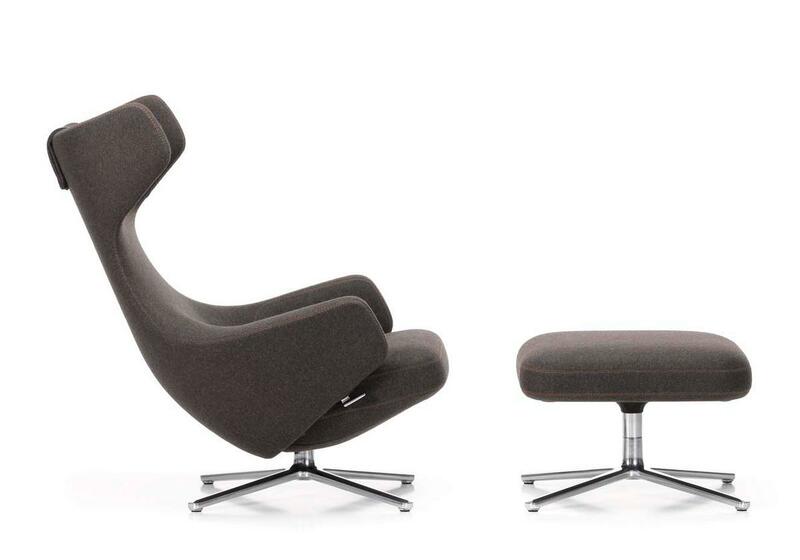 The Vitra Grand Repos by Antonio Citterio opens a new dimension of comfortable seating. 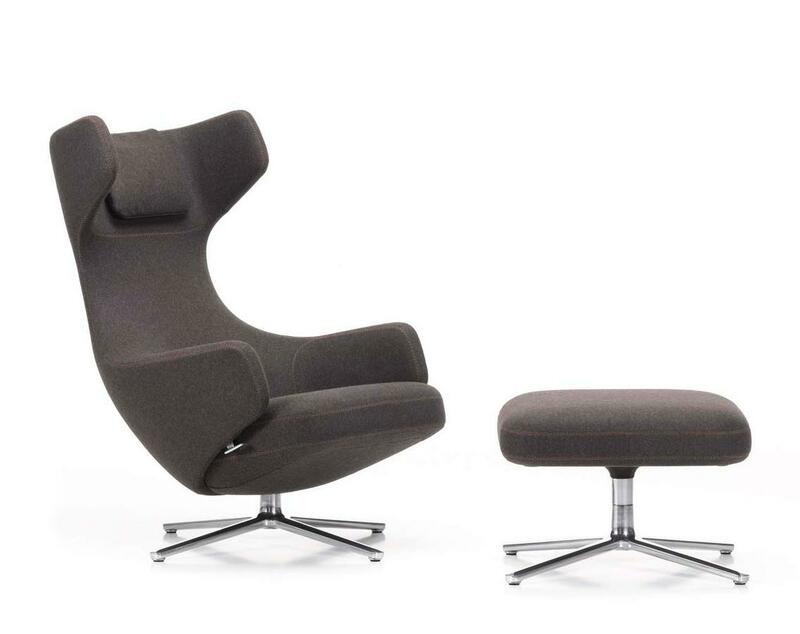 The Italian designer has often collaborated with Vitra, and over the decades has for all proven his expertise in the field of office chairs. 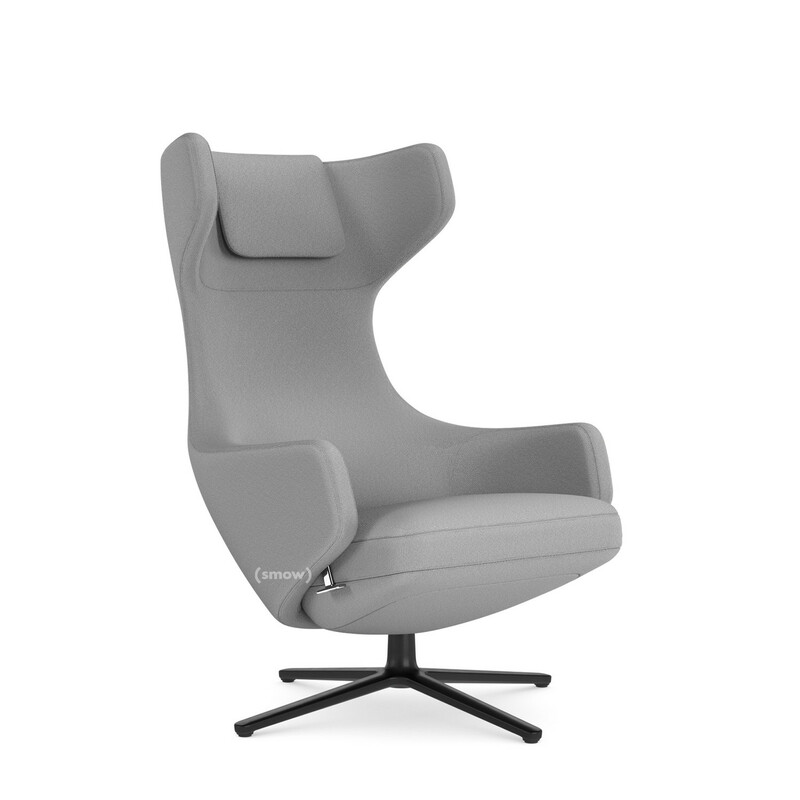 For the ultimate home sitting experience Citterio has now used his knowledge of office chair design to create a lounge chair with an ingenious synchronous mechanism. 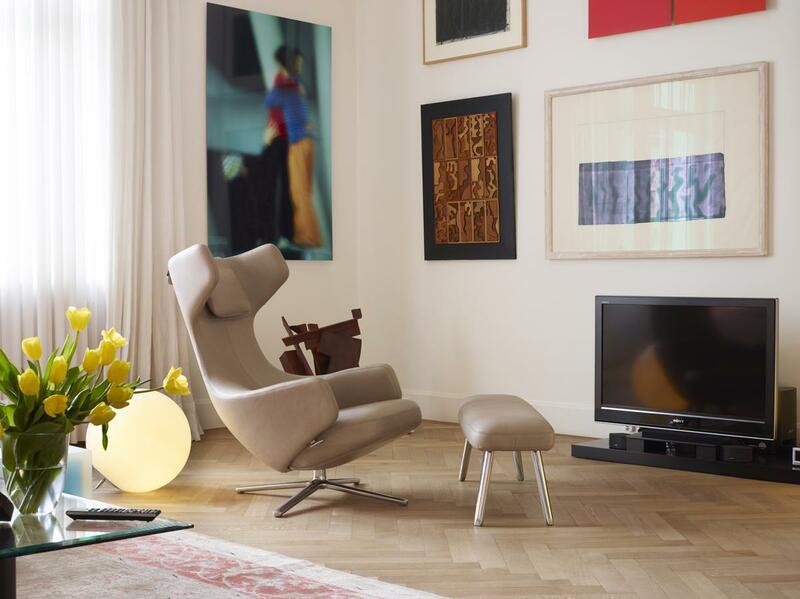 The Vitra Grand Repos adapts to the user's weight via spring force which allows the continuous synchronous adjustment of the position be that in an upright or reclining position. 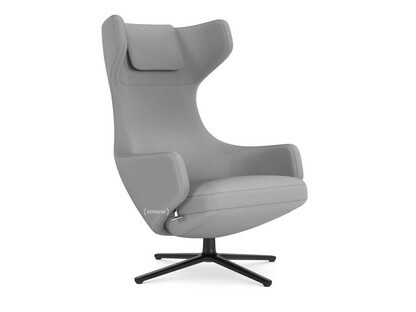 Formally the Grand Repos with its high back and armrests is reminiscent of the very inviting classic wing chair; however, for Vitra Antonio Citterio has also advanced the design and with his Repos chair he has removed the backrest to create an even more reduced form of the elegant designer armchair. 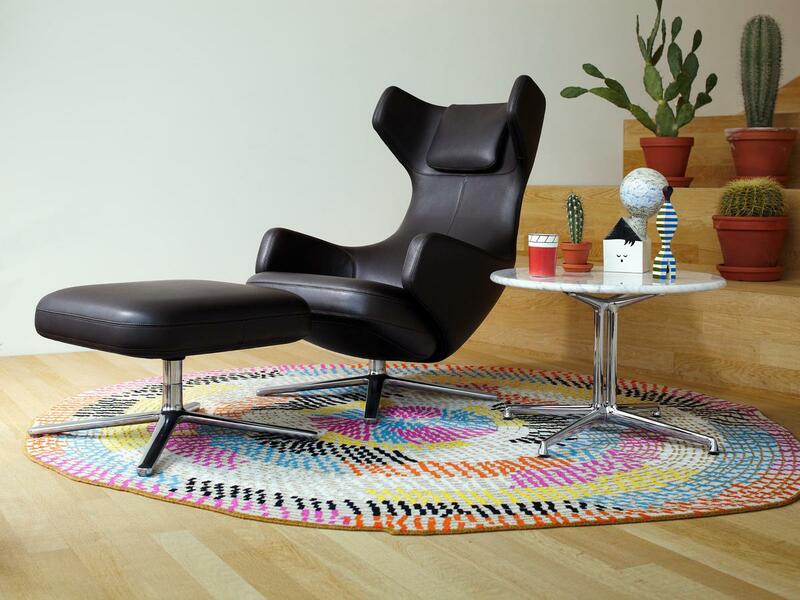 Both models are available on a rotating four foot base and are in a large range of leather and fabric versions. 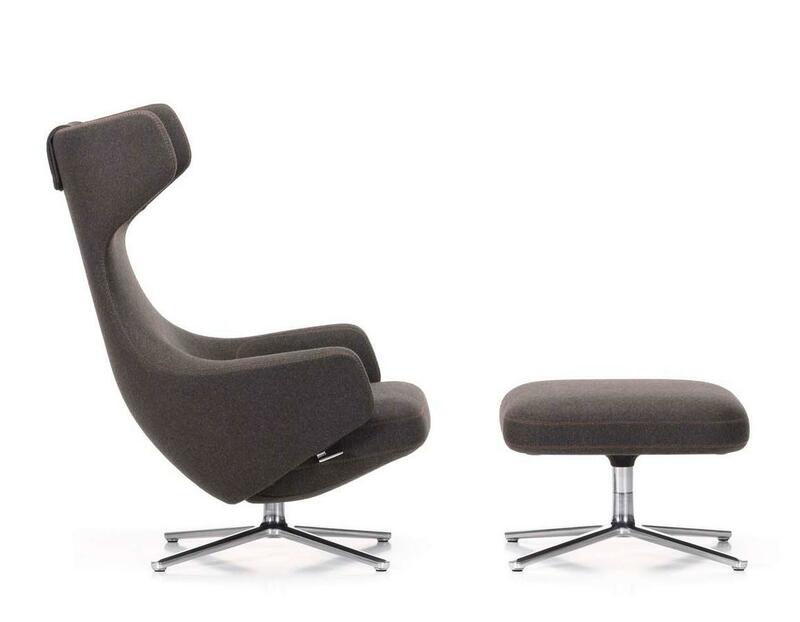 The optimal seating comfort is guaranteed with the matching Ottoman or Panchina. The portfolio of Antonio Citterio has much more to offer than functional office furniture through which he has made such a name for both himself and Vitra. A trained architect Citterio founded his studio "Antonio Citterio and Partners" in 1999 and began to work on range of construction and interior design projects. 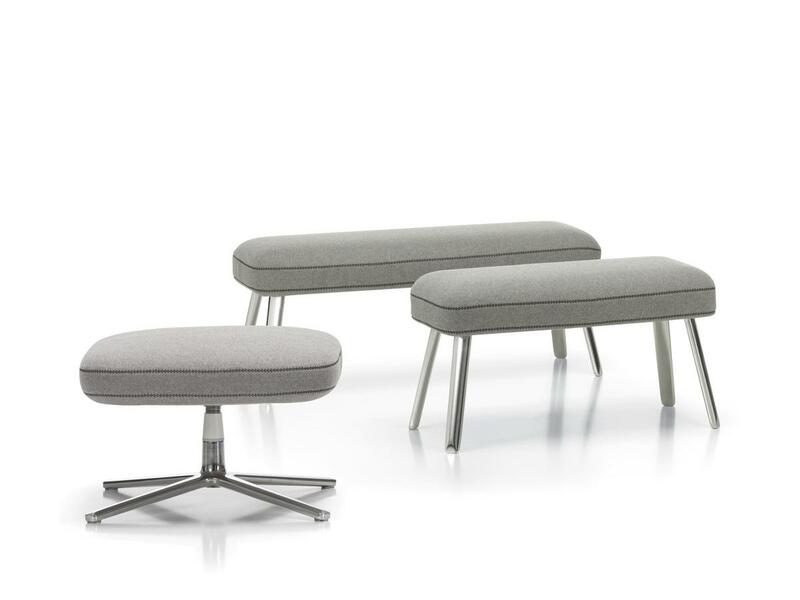 In terms of design, the range of Citterio's work spans storage furniture, seating, fitness equipment and sanitary products, while the Vitra Repos and Grand Repos are not the only lounge furniture in the Citterio portfolio. 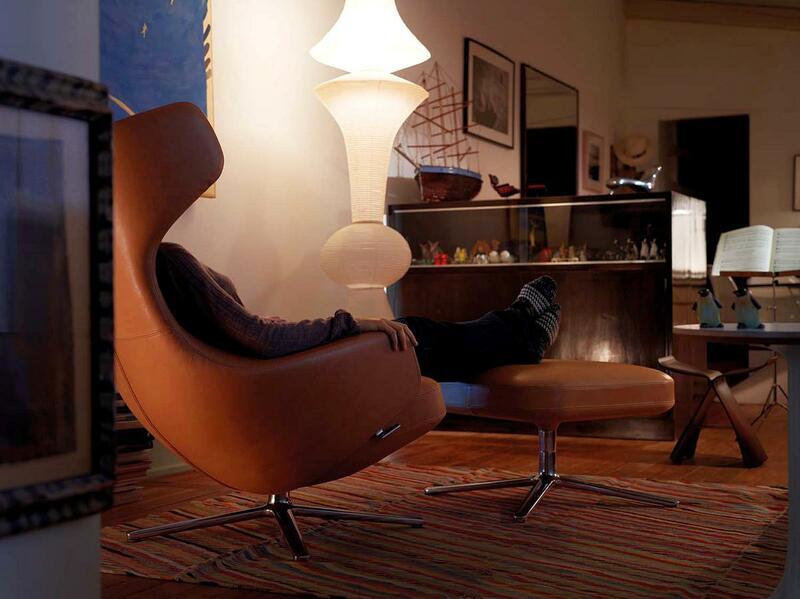 In addition to the Vitra Suita Sofa, he has designed several sofas and armchairs for B & B Italia. 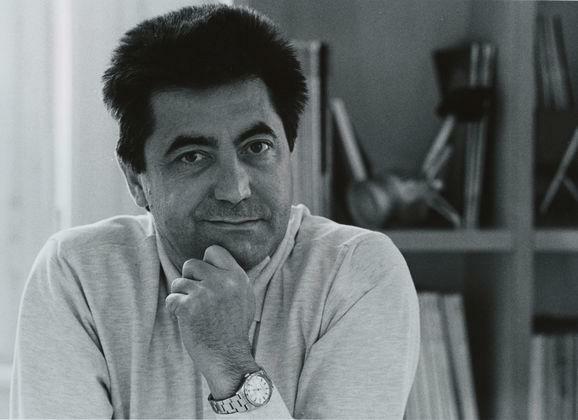 Recognition for Citterio's work has come in the form of, for example, the Italian industrial design prize Compasso d'Oro and exhibitions of some of his furniture designs at the Museum of Modern Art in New York and the Centre Pompidou Paris. 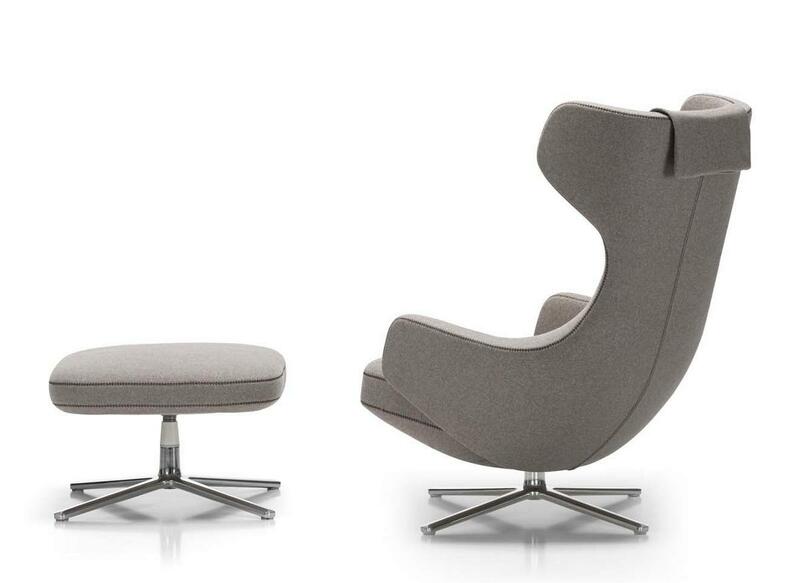 From a collaboration between Vitra and Antonio Citterio has emerged a modern seating solution with extra comfort, the lounge chair Grand Repos. 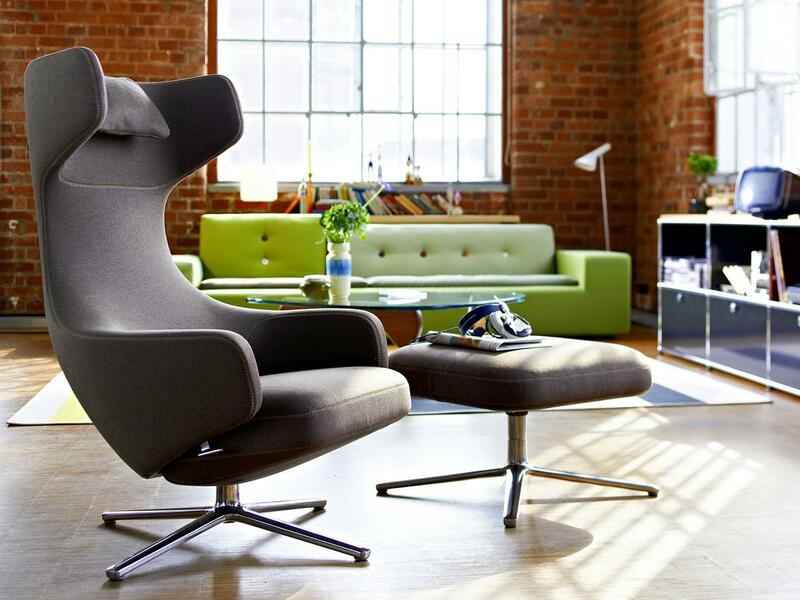 Vitra can reflect on a long history in producing high quality furniture, be that design classics such or the development of new office and residential furniture. 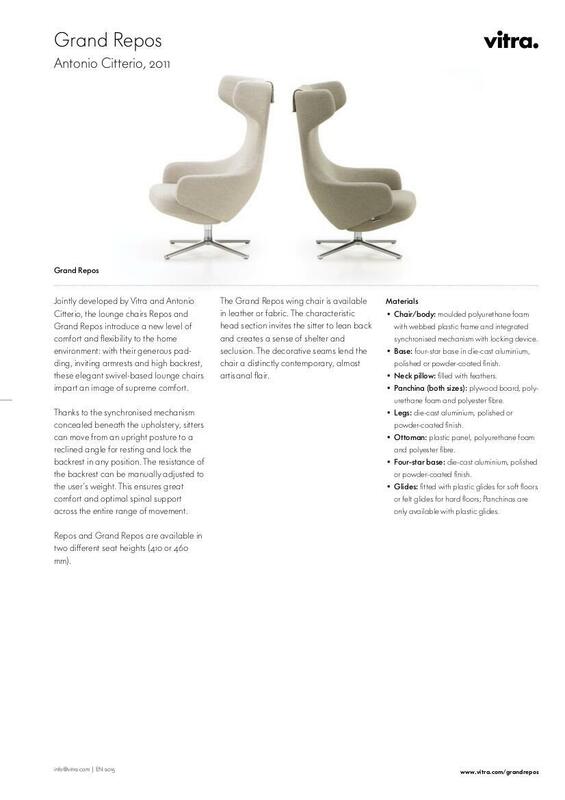 Launched in 2011, along with the Repos, the Vitra Grand Repos comprises reduced, but generously sized cushions, inside which a synchronous positioning mechanism is hidden. 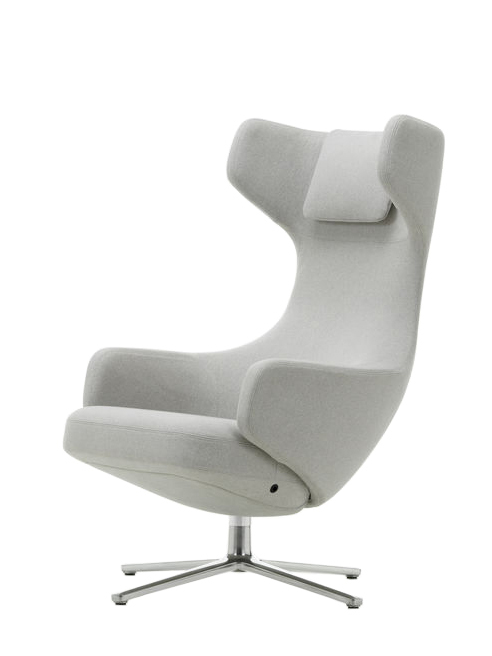 The upholstery is available as either leather and the fabric Cosy, a mixture of wool and nylon. The four foot base is formed from die-cast aluminium available either as a polished or coloured version. 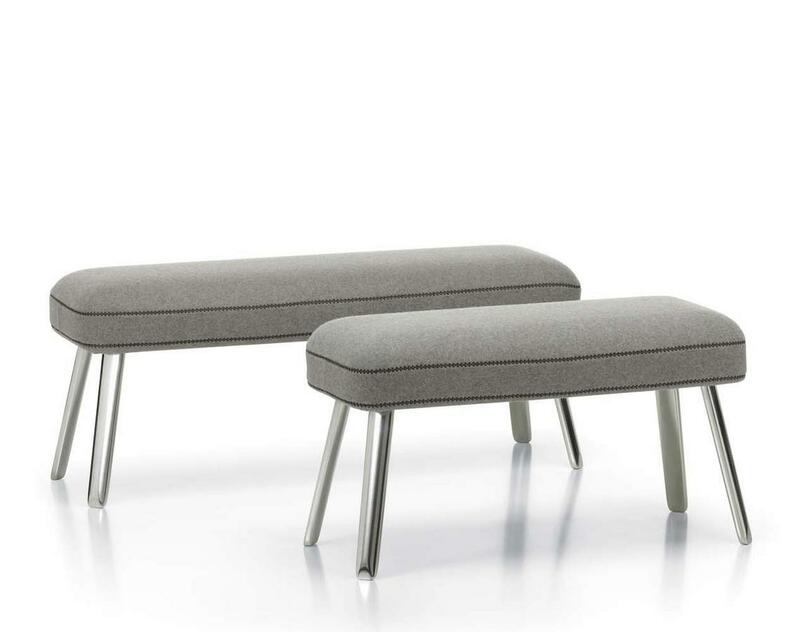 Complimenting the Grand Repos an Ottoman and Panchina are also optionally available, the latter coming in two sizes. 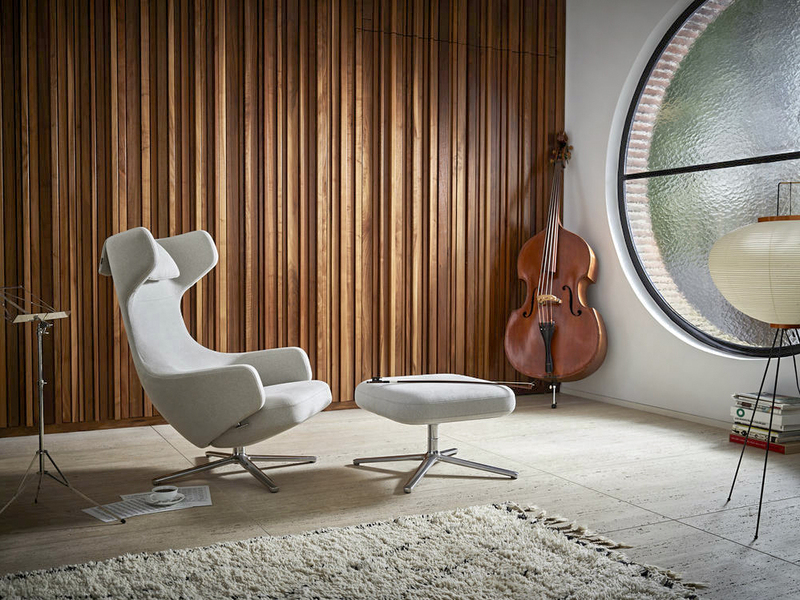 As one of Europe's most prestigious designer furniture manufacturers Vitra has continually expanded its portfolio and moved in different directions - and that with great success. 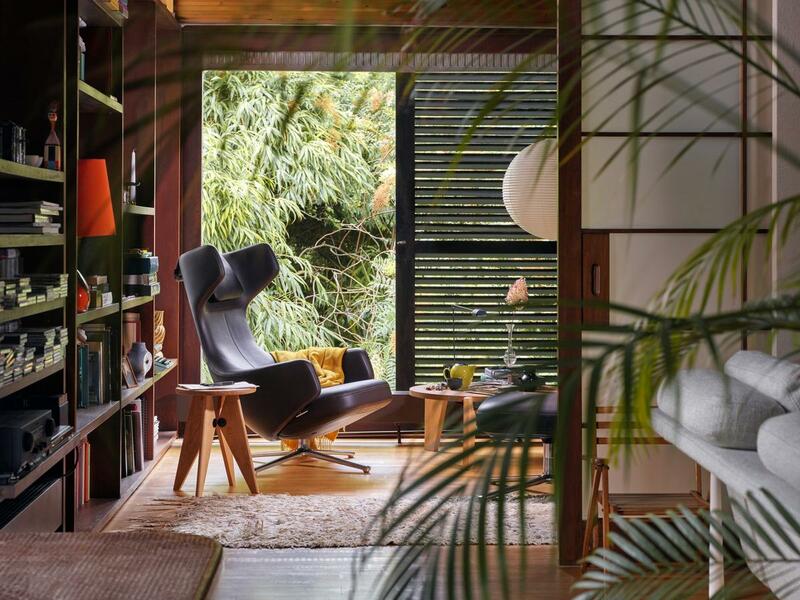 The story begins with a chair by Charles and Ray Eames, one seen by Erika and Willi Fehlbaum in a shop window in New York and which the Fehlbaums then devoted themselves to producing. 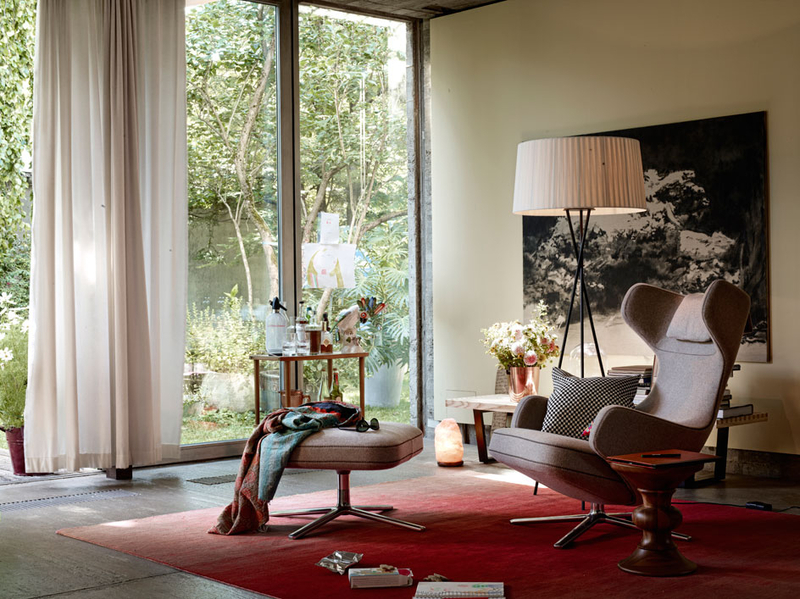 With Antonio Citterio's Grand Repos and Repos lounge chairs Vitra now have modern counterparts to the classic Eames Lounge Chair, albeit a counterpart with sophisticated technology. 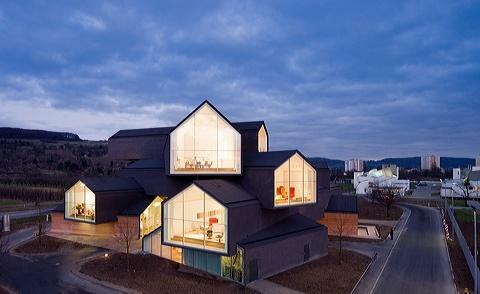 In addition to the Vitra portfolio and its mix of design classics and design innovation, Vitra design is perfectly expressed by the Vitra Campus in Weil am Rhein, where masterful architecture meets masterful style and visitors can expect an almost museum experience. 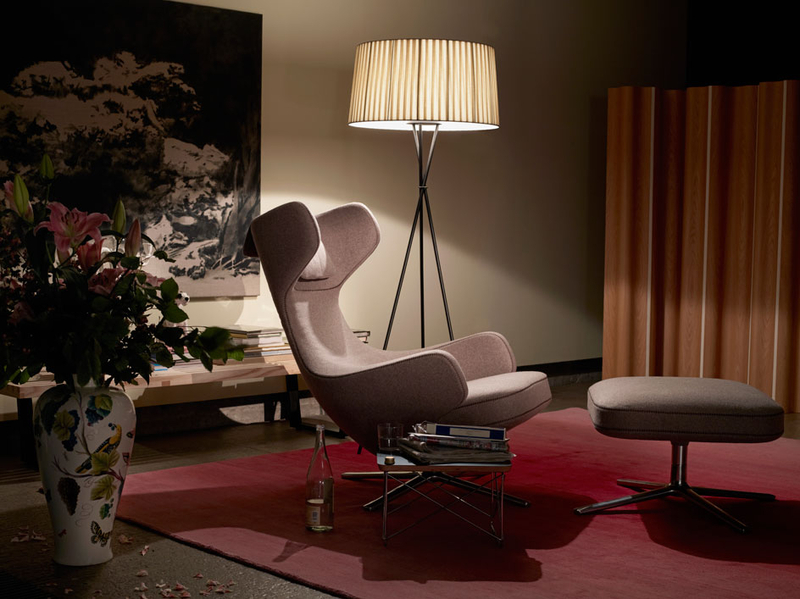 Orgatec 2012 Interview: Antonio Citterio "I like to work on products that are developed over time. I don't like to work just for the moment"